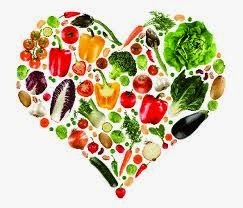 Started a diet yesterday to lose just a couple of pounds.......it will start to get easier now that we will have warmer weather, more daylight, better chances for outdoor activities, and spring crops such as asparagus, peas, strawberries...........Thank goodness. Happy beginning of April, the month of lilacs. 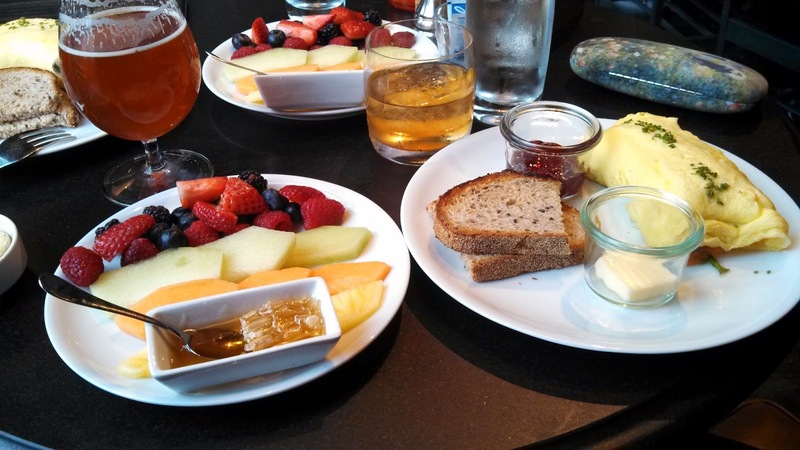 Oddly enough, this brunch at COOK HALL in the W Buckhead Hotel (next door to the Westin, where we stayed) was my favorite meal of our 3-day stay. The omelet with smoked salmon, goat cheese and spinach was perfect, and the fruit plate was totally delicious--it included cantaloupe as tasty as the best mid-summer melon you're likely to happen upon. Also, the cocktails were spectacular, the dining room pleasant, and the staff fun to talk with. We dropped back in at the end of the evening for a hot toddy and some more chat with the bartender. 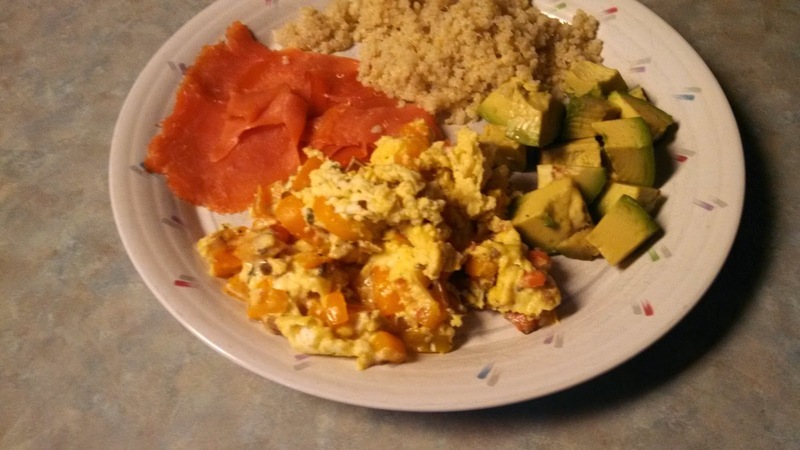 Arrange quinoa, avocado cubes and slices of smoked salmon on two dinner plates, leaving room for the cooked eggs. Heat oil over medium heat in a medium, nonstick frying pan. 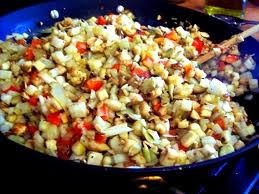 Add pepper and cook, stirring, until they start to soften. Meanwhile, stir the yogurt into your beaten eggs and add salt and pepper. Pour egg mixture into pan with peppers and scramble softly until eggs reach desired level of doneness. (This only takes a couple of minutes.) Sprinkle with cheese and divide onto prepared plates. Serve immediately. This delectable fruit traces its ancient origins to what became Mexico, which still produced some of the world’s best specimens. Known in parts of India as butterfruit for its creamy, satisfying mouthfeel, avocado strikes us as one of the best foods on the planet. What a nutritional powerhouse it is: higher than almost all other fruits in protein, packing more than half your daily recommended intake of fiber, loaded with the healthiest type of fat and rich in vitamins and minerals. Did we mention that it’s delicious all on its own? Or peel and slice a ripe one, mash it with a fork, add a squeeze of lemon or lime and a little salt and pepper, and spread it on bread or toast for a quick lunch. We like to make a sandwich with a slice of sharp cheese and a few leaves of spinach on toasted whole wheat. You’ll be getting a lot of potassium, vitamins C, E and an assortment of B vitamins along with the fiber and healthy monounsaturated fat. An average avocado has about 200-235 calories. Special ingredients: Sweeeeet sign of Spring! Yesterday at our downtown market -- the historic and wonderful Findlay Market in Cincinnati -- I was thrilled to find a stash of fiddlehead ferns and a few chanterelle mushrooms at one of the mainstay stores there, Madison's. 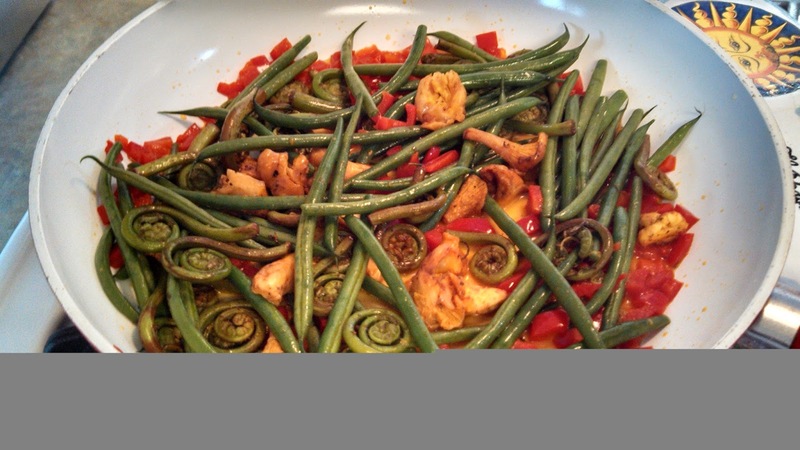 According to Wikipedia, fiddleheads are the "furled fronds of a young fern" (say that three times, fast). 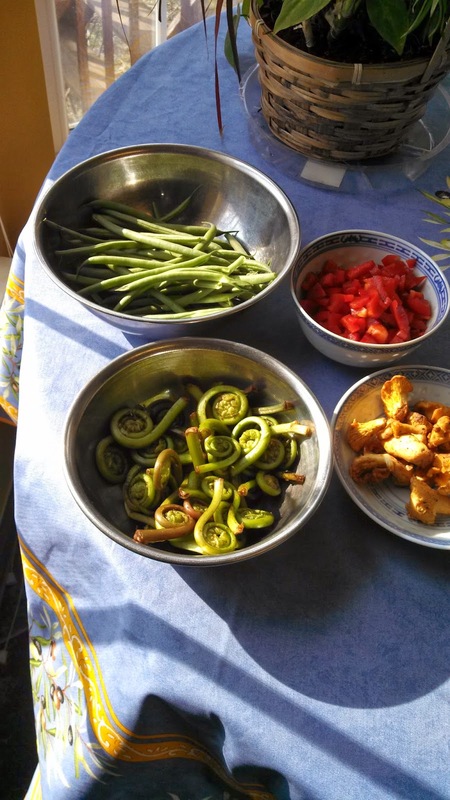 Eventually the fronds unfurl, but they are delicious when harvested in early Spring while the heads are still tight. What a delicacy! Also according to Wikipedia, they contain antioxidants, omega-3 and omega-6 fatty acids, and are high in iron and fiber. Chanterelles are my favorite mushrooms. They're pricey, but the stems are just as edible as the heads so there's absolutely no waste. I took these ingredients and sauteed them with 1/2 diced red bell pepper and a handful of haricots verts. First saute the peppers in olive oil until they are soft, then add the other ingredients and stir-fry. I used vegetable broth as a liquid, added salt, pepper and garlic. We stayed at a Westin in Buckhead (an in-city neighborhood), a convenient location and nice hotel. First night in, we met friends at F & B Atlanta ("A rustic neighborhood bistro"), which was recommended to us by a foodie friend who lives in the metro area. It was a delightful restaurant that we all loved. It's French, with a pedigree leading back to when Maguy le Coze (of the fabulous New York City seafood mecca, Le Bernardin) opened an outpost in Atlanta called Brasserie le Coze. F & B is basically the third iteration of that restaurant -- authentic, relatively casual French food with a lovely wine list and very good bar drinks. Perhaps the best single dish I had in Atlanta was the first thing I ate at F & B: Braised Harris Ranch Veal Cheeks with sauteed brussels sprouts and soft mushroom polenta. It was so filling and satisfying that I couldn't add a full entree to my meal, so I followed it with a second appetizer of Steamed Jumbo Asparagus with crabmeat and bernaise sauce....very rich, and plenty of food between the two dishes. I had a Bordeaux with the veal and a wonderful white Burgundy with the asparagus/crab. That's after two days of eating too much in Atlanta GA. One more day on the road before heading home to normal eating and exercise habits. As much as it's great to see and experience new things -- including of course caloric things-- it doesn't take long for me to crave the familiar. My bed first and foremost. My kitchen, my gym. Wrap up of the foodie highlights by week' send. Heading to Atlanta and Savannah, two very good food destinations. Will post from the road when possible, and certainly upon our return. Wine is a health food (as we know), at least in moderation. But which wines go best with which foods? Red with meat and white with fish just doesn't go anywhere near far enough. 1. Champagne (and other dry sparkling wines) goes with almost anything. 2. Sauvignon Blanc (my personal favorite white wine varietal) pairs especially well with lemony, citrusy foods and sauces. Maybe that's why it goes so well with most seafood preparations, as fish and shellfish usually are improved by a splash of citrus. 3. Chardonnay is the best choice, among white wines at least, if you're serving fish with creamy sauces, or fatty fish such as salmon. 4. Pinot noir and earthy dishes are matches made in heaven. Think mushrooms, onions, and/or garlic -- with or without poultry or meat. 5. 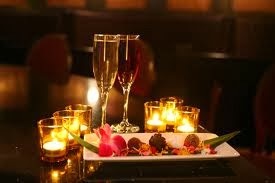 Match old world wines with old world dishes. Pastas with tomato sauces should be terrific with Italian reds. To read more (15 pairing tips in all), click here. Most restaurant desserts fall somewhere between disappointing and mediocre, in my experience. But when I half-heard (because of the din) our waiter describe something to the couple next to us last night at a Tavola, my ears perked up. I also stopped eating any more pizza because saving room seemed to be in order. And how! This was a first-rate dessert: house-made vanilla gelato topped with caramel sauce (they called it salted caramel but it wasn't notably salty, thank goodness) and surrounded with toasted mini-marshmallows. 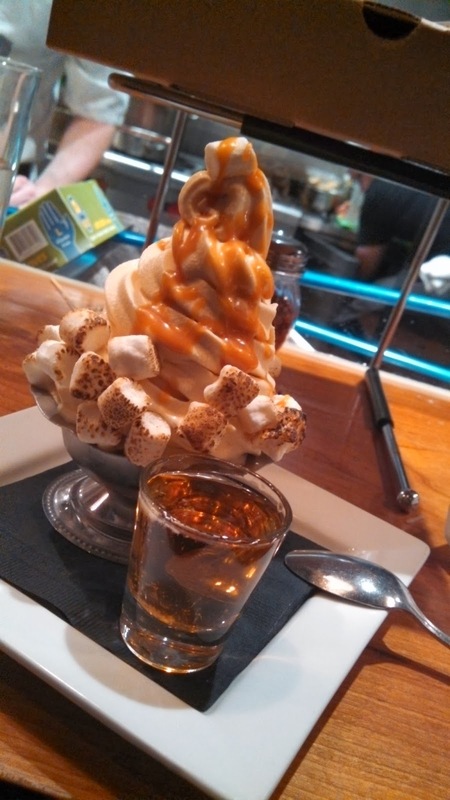 The shot of bourbon was a suggested accompaniment -- you dip your spoon in the bourbon before digging into the ice cream. It was terrific. And the bourbon, while nice, wasn't necessary at all to make this dessert memorable. A Tavola also makes one of the best Old Fashioned cocktails I've ever had -- apparently, others have noticed because bartender Aaron had his O.F. lauded in Food & Wine magazine. So the start and the finish of this meal -- with a good asparagus salad and nice fig & prosciutto pizza in-between -- was a Best Bite of the season. I will definitely return for more of both. While it's still cold outside, roasting vegetables makes for some delicious dinners. In fact, almost any vegetable tastes better when roasted, as opposed to steamed or sauteed, because the sometimes-hidden sugars in them really comes out when cooked by the dry heat of an oven. This recipe also is great because these ingredients are plentiful now and not dependent on summer crops. The taste combination of fennel, eggplant, red bell pepper and zucchini -- along with some garlic, broth, and finished with cheese -- is better than it should be. We prefer eating at the bar rather than in a dining room at this lively spot on the edge of Washington Park. 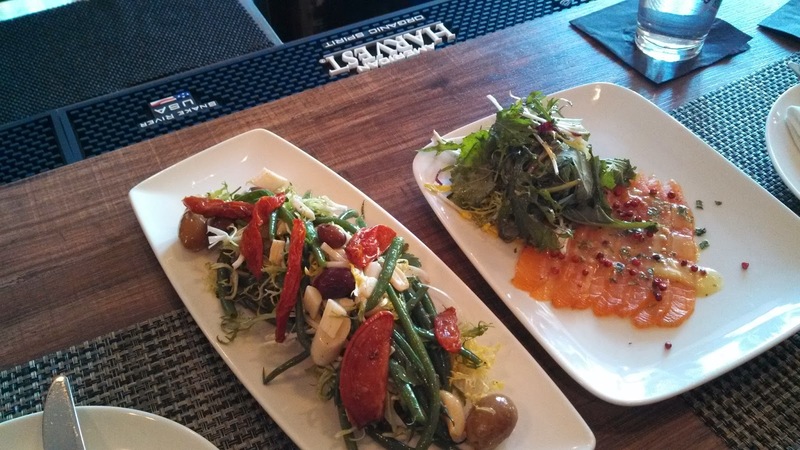 Here's a shot of our delicious appetizers -- haricots verts salad (with hearts of palm, roasted garlic, roasted tomatoes and frisee) and cured Scottish salmon. Then we split a mushroom flatbread, with drinks of course, before heading out to catch "Rosencrantz and Guildenstern Are Dead" at the Shakespeare Theater. If you haven't tried Zula's yet, you need to. Here's a link to their website.